We hit the road Thursday on our first field trip to visit the Waiakea Research Center located mauka (mountain side) of the Panaewa Rainfoest Zoo and Gardens. We toured the anthurium green house and fruit tree orchards. Plant Pathology - Who Knew? I saw so much plant disease and pest pictures today it is amazing anything grows! The first half of our class today was conducted by Dr. Scot Nelson from the University of Hawaii, also known as the Plant Doctor. Check out his website. Of course he is Hawaii-centric, but these pathogens are everywhere!!! About 80% of his lecture was looking at pictures of diseased plants, from virus to microscopic nematodes to the common aphid! Yuck! But, I loved it! I can't wait to checkout the website! Actually, I went home after class to look a one of my new gardenia plants that has not grown much and the leaves are beginning to yellow. Well, I found lots of little black mites? on the underside of the leaves! I blasted them with water. Gone for now! I think I might also have some powdery mildew on another gardenia. I hope I do not become a plant hypochondriac! Is there such a thing! Trees and tree pruning was the second half of the class. Not quite as exciting for me, but fun! I did take some pictures. The camera will be a tool I take to class from now on. Art can take many forms and "a pruned plant" is one such form. I found the picture to the above on another blog I follow, Fennel and Fern. It got me thinking of "pruning" as an art form. Ah ha, but of course! There has alway been the bonzai, and the famous Walt Disney topiaries. And of course the formal English Gardens. I just read an article in Fortune magazine about the future of Detroit. 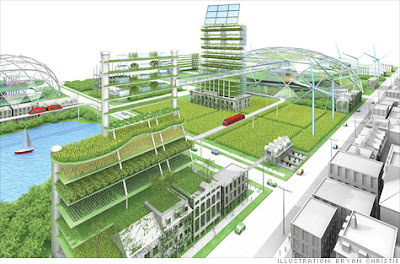 John Hantz, a billionaire still living in Detroit, has an idea for the city - urban farming! He is ready to sink $30 million into the project! John Hantz actually has a website to promote his idea. Check it out! Hantz Farms "Detroit is about to return to it's roots" VERY INTERESTING! By the time I reacted the MG classroom, (I was 15 minutes early) half of the classroom was already populated with my fellow MG "Trainees", at least that is what our name tags called us "Trainee"! We listened to some introductory lecture and finally introduced ourselves to one another. A Botanist, an Illinois Master Gardener, a small business owner working with the disabled, school teacher, everyone had a very interesting story to tell! Wiamea/Kamuela, Lapahoehoe, Volcano, several classmates are traveling far to attend the MG class! More lecture - photosynthesis, respiration, transpiration, dicots, monocot - shades of high school biology! Then the tour, we visited the secure lab where disease and pest testing is conducted and learned that virus is a real threat to plant life in Hawaii. We toured the grounds. There are plans for a walking/bicycle trails, more composting and gardens, but it is obvious that more hands are needed! So, my first volunteer hours may be in the garden, joining fellow MG and friend Laureen! Finally, the pizza party! First meeting the certified MGs, short introductions, lots of pizza and friendly conversation! 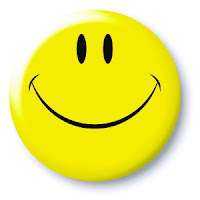 A good day! First Master Gardener Class this AM! At 9AM today I will be sitting in a classroom at the University of Hawaii at Hilo and taking notes! OMG! I know this is a volunteer program, but I have not been in an academic classroom with real Professors in decades!!! The class size is relatively small, only 17 students. And I do have a recently made friend in the class. And I hear from the grapevine, that there are some interesting students this session. Making new friends is always a plus. Am I excited? Honestly, not yet. But after my coffee, breakfast and creating the grocery list for the week I think that my passion for the dirt and all that grows from it will return!!! Rock on MG! Found this movie trailer on another blog and wanted to share. I checked Netflix and the movie is not yet released on DVD, but when it is I know I will put it in my que! Of course I was searching the internet for something other then what this post presents, and came across these lights. I immediately thought of my Artistic Tuesday post and thought aha this will work! Sooooooo, here you go! The Hannah Nunn light collection. 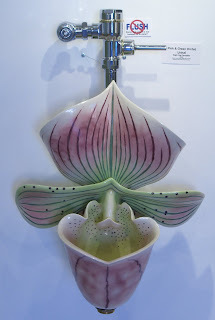 The inspiration for the design is obviously from the garden! Only 3 days 'til I start my master Gardener training! I am looking in my garden to see what I can take a picture of that that represents Valentine's Day. something chocolate? no! 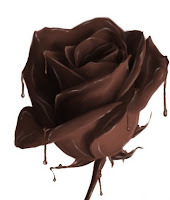 of course i have no chocolate roses! I do have things red and/or redish in my garden! 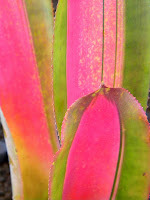 When I planted this in the landscape several months ago, I was under the impression that it was a full sized heliconia. However, it is a dwarf variety, most likely heliconia stricta 'Jamaican Dwarf'. I can't complain much though. They are great cut flowers that will last about 2 weeks. There are three more flowers on the plant. I just hope it keeps producing! My first Master Gardener class is only 7 days away! According to my friend, there will be pizza after the class and former class members will be there to welcome us newbies! 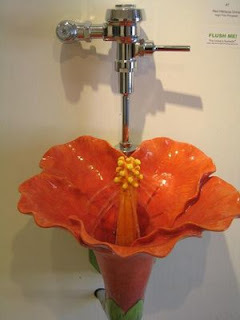 Check out their other plant and nature inspired urinals! We are finally getting around to landscaping our street side yard. 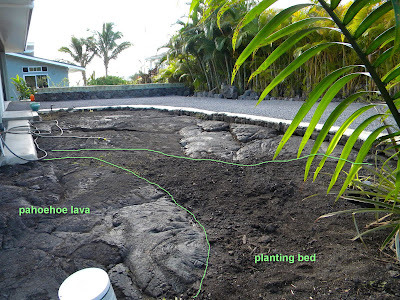 When we prepped the site for the house build (2008) we left as much of the pahoehoe lava in place as possible. Now it is time to find some salt tolerant ground cover to plant in and between the lava rock croppings. Zebrina pendula, seen left, is a zone 2 salt tolerant ground cover growing to about 6 inches in height. I like the purple and silver colors. I would like to pair it with something that is slightly taller and of a different color. I think a "lime" green color would pair well. I am on the search! Note: The University of Hawaii, College of Tropical and Humane Resources, has a great white paper on Wind and Salt Tolerant Plants. My friend Laureen (a certified master Gardener!) recently gave me a pair of garden gloves. She purchased a dozen or two at a reduced price through our Hawaii County Master Gardeners program. Bottom line - I love them! So. check out the Atlas 370. 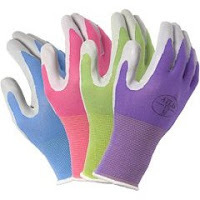 Perhaps your local chapter of Master Gardeners is a source for gloves. The nitrile is suppose to last a long time and you can wash them! They fit me well (medium) and are almost as good a working without gloves. You see, I like to feel the dirt, but not the prickers! PS. The link I provided above is one I found using google search. I have not purchased from this on line store. Plants growing in felt pockets!?! Nutrients and water dripped into the pockets!?! No soil!?! 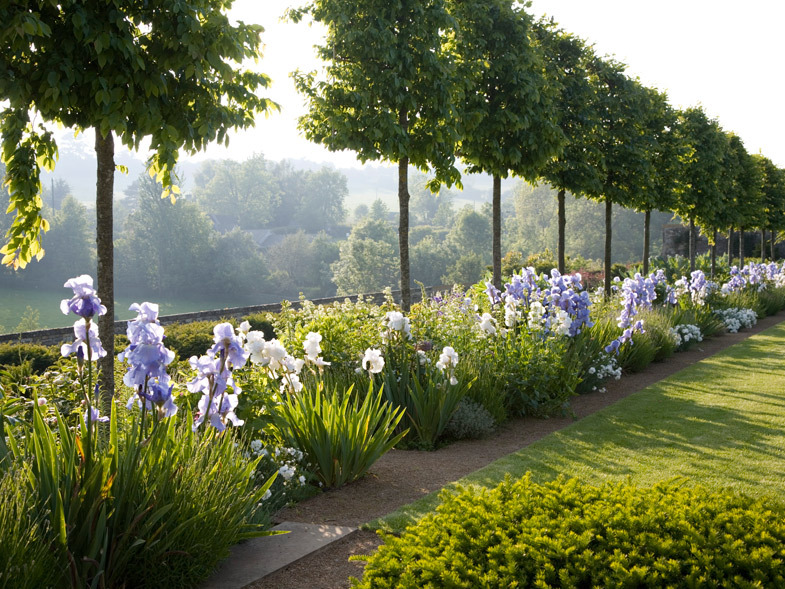 This British video from the Chelsea Flower Show of 2008 explains Patrick Blanc's concept. Beautifully incredible!!! 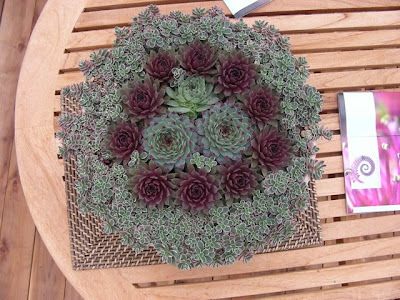 Nature is artistic as seen in this beautiful succulent planting. Even without the thoughtful placement of plants, the color variation alone is pleasing to my eye. 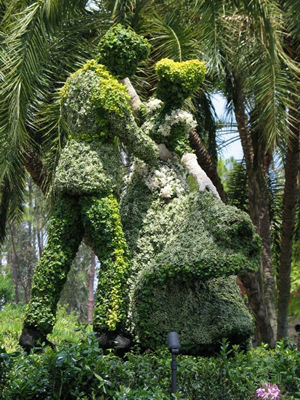 Credit: I found this picture from a fellow gardener's blog - floridafriendlyplants. PS I am starting a regular Artistic Tuesday post with the mission of providing an artistic touch to my blog. Hawaii has seven beautiful native Hawaiian hibiscuses. I purchased one yesterday at the local Pahoa Farmers Market (or so I was told it is one). It already has a single trunk and I hope to continue to shape it as a tree. Check back in a few weeks to see how it is doing and if it truly is a native.